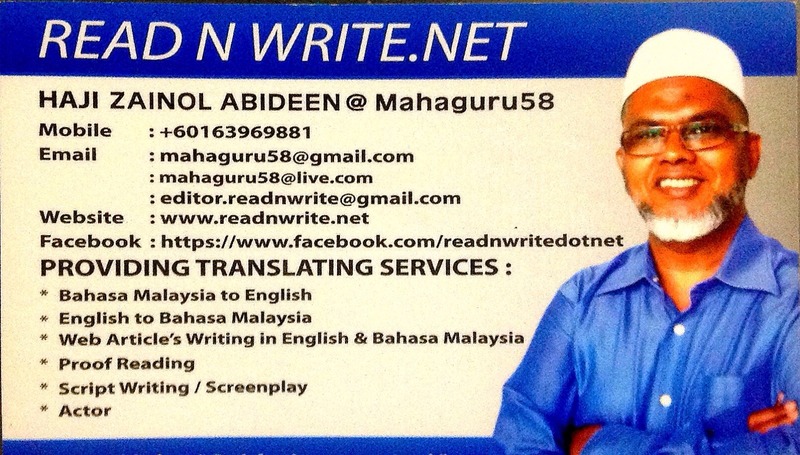 READ N WRITE: Translating ENG-BM, BM-ENG, Proofreading, Editing, Content Writing, Etc. Translating ENG-BM, BM-ENG, Proofreading, Editing, Content Writing, Etc. How often have you grimaced when you come across ads and articles that contain atrociously misspelt English? Isn't it an unpleasant experience in having to face such horrendous grammar in our life especially here in Malaysia? Not that many people are concerned at all about the kind of disastrous first impressions that they unwittingly provide the reading public and in fact destroy whatever remnants of a passable social image of themselves, their companies, their departments or even government ministries by releasing such ads or notices to the public domain! 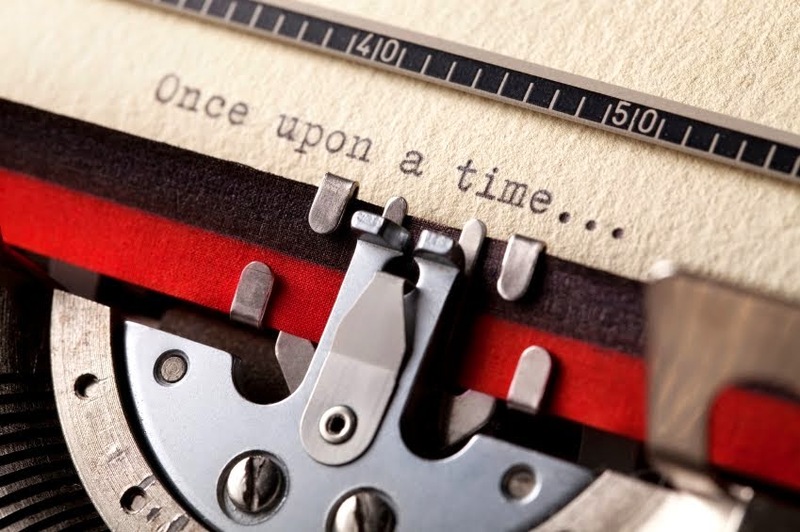 Writing good content requires one to have not only the basic know how of putting together the right and correct words into a phrase or a sentence but also having it in oneself to know how to paint a larger mental picture of the whole train of thought? Failure to do so will only result in a nightmarish blunder that will have serious consequences for the ones who have no idea or are at a loss for words? Do you remember the infamous 'poke in your eye' Ministry of Defense screw up we had recently? The problem was caused by the mainly Malay speaking MINDEF staff resorting to totally using just the Google Online Translating Service for their ministry's dress code regulations. Translating from Bahasa Malaysia to English and vice versa can't be relied upon just online systems. The systems would not be able to grasp the context and content of any such differences in culture or social trends or tendencies in order to do justice for such a translation need. It will take quite a knowledgeable person who is well versed in both English and Bahasa Malaysia to come up with an acceptable form of translation that will deliver the right and correct message as intended. Failure to engage the right person to do that important job will result in such an embarrassing gaffe that could really have been prevented from ever taking place? Isn't it a shame that the person posting such a notice didn't take the time and effort to check their ad for grammatical errors before publishing it online? By going ahead with such publishing, the person actually destroys his or her own credibility way upfront and tells everyone reading their notice to stay safely away from ever having to deal with them! Misrepresenting oneself through such grossly incorrect advertising or announcements will in effect bring down one's public image. Disastrous! For those intending to do business or project themselves as reliable and trustworthy parties online and in the public domain, it pays to engage a reliable translator who knows his or her English and Bahasa Malaysia quite well and has many years of experience in this important field. 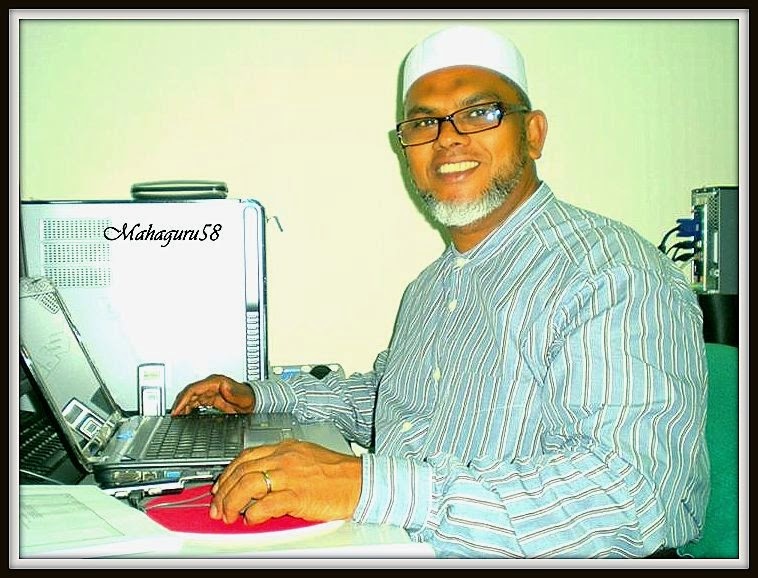 I have been writing and publishing more than 2600 over articles online since 2005 as a blogger using the Mahaguru58 online id. Its time that I start making use of my abilities to be of service to the general public. 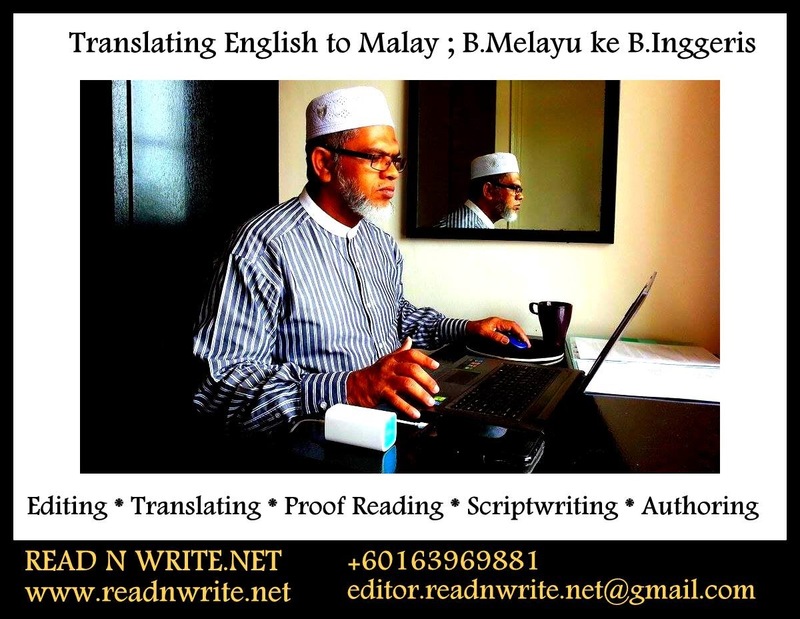 If you have a need for my English to Bahasa Malaysia ; Bahasa Malaysia to English Translating, Proofreading, Editing, Content Writing in both English and Bahasa Malaysia, you are most welcome to engage my services. I am willing to undertake only jobs and assignments which are free from any legal implications and plagiarism. Reasonable fees. Terms & conditions are negotiable. I can be reached at editor.readnwrite.net at gmail.com and mobile +60163969881.